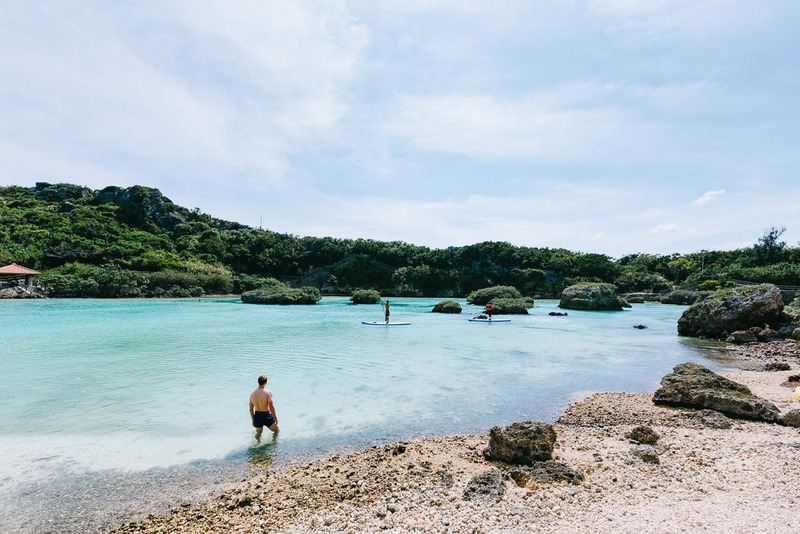 The fourth largest in the Okinawa Prefecture, this iron-board flat coral island boasts spectacular rocky outcrops, and blindingly white sand beaches with clear turquoise waters. Catch it on a sunny day and Miyakojima is glory at its best. 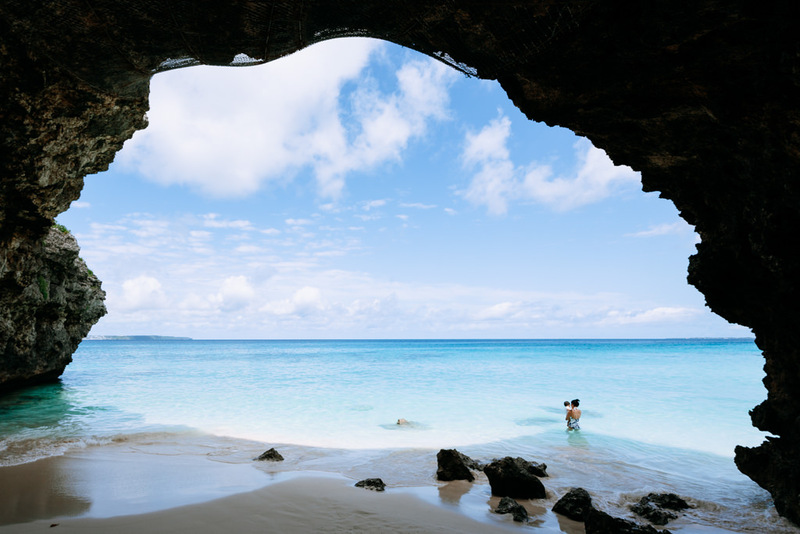 The Miyako Islands are a beach-entry snorkelling paradise, often reported to be as good as the remote islands of Tahiti. You can enjoy the colorful lush coral reefs with many kinds of tropical fish just within 10 meters from the beach. Camping on any of the deserted beaches (if it’s not a tourist beach) is allowed, and makes for a truly wild experience. We camped on Nagamahama Beach on Kurima Island and it was wonderful! Shower are available at any of the main tourist beaches, but best to do it in the hot months as the showers are mostly cold. 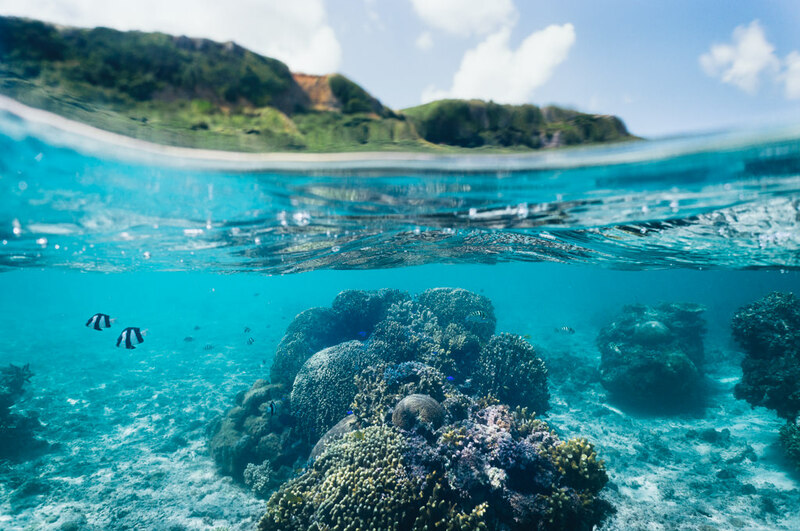 There is an amazing barrier reef (offshore coral reef) called Yabiji, which is located off the north east of Miyako main island. 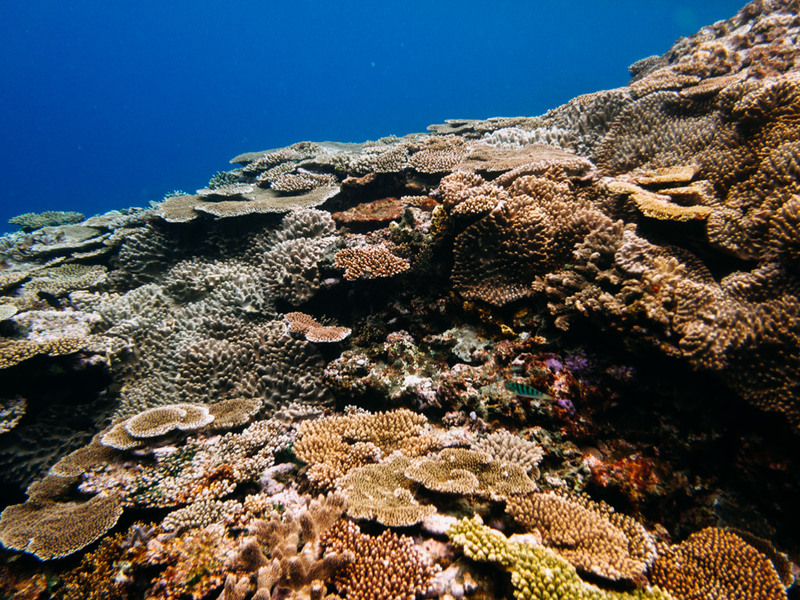 This coral reef is so lush and healthy, that even Australian WWF experts have come to conduct research in order to find a remedy for the dying coral of the Great Barrier Reef due to climate change. 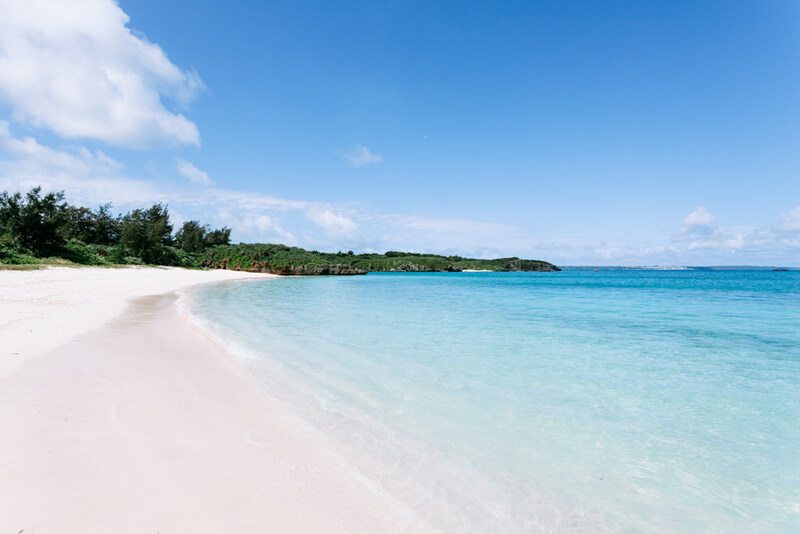 The Miyako Islands have amazing beaches with great snorkeling points, so pray for good weather! 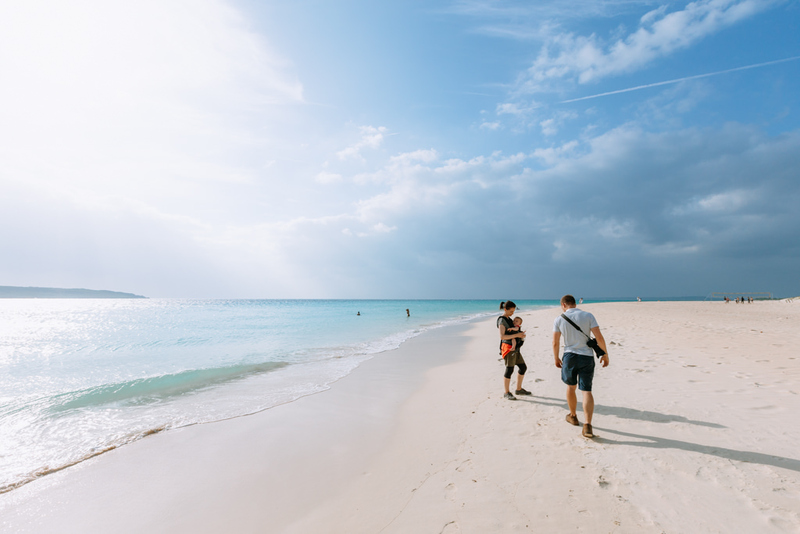 There are so many beautiful beaches, and if you consider the wind direction of the day, you can make a good choice for the side of the island which will be the most protected. 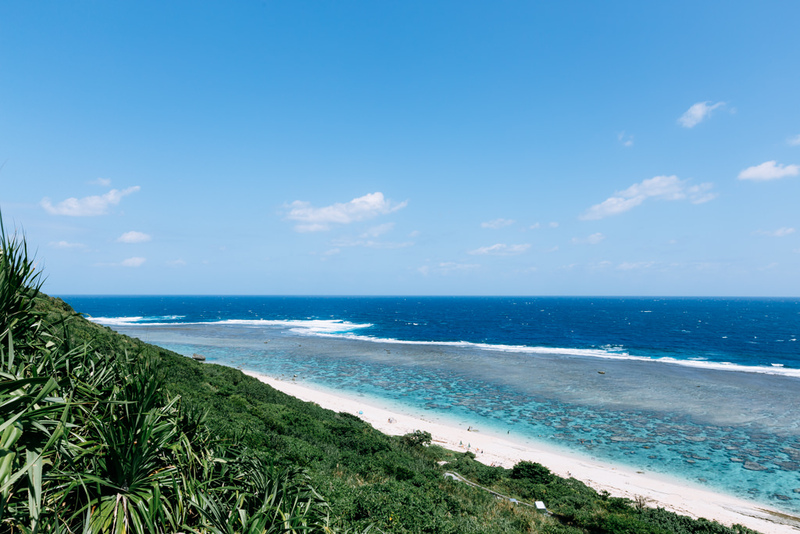 The iconic famous beach of Miyako Island, and a must-visit. Not the best for snorkeling. Beautiful white sand beach. 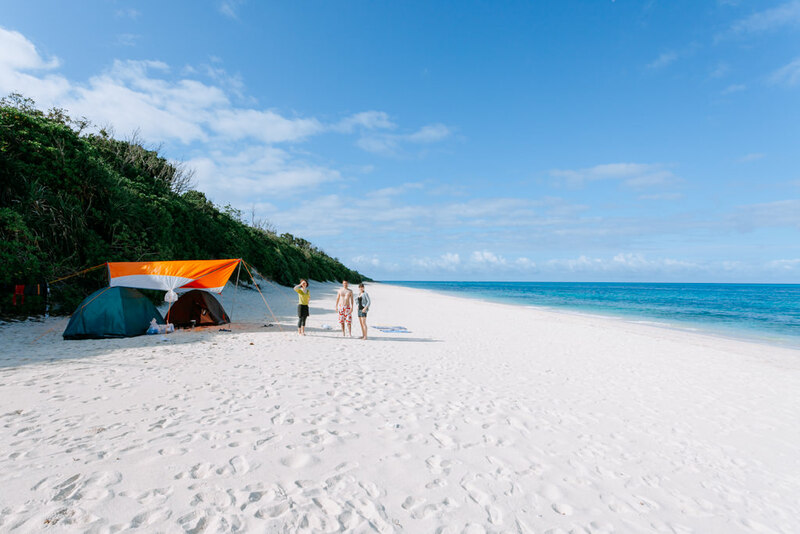 One of the most idyllic spots for beach camping among the Miyako Islands. There are some good snorkeling points too. Yoshino beach is one of the best for beach-entry snorkeling. No need to swim to the reef edge, as there are a lot of coral and fish near the beach. Please be careful not to damage the coral by accident with fins. On this beach you will see a famous volunteer guy with a ponytail who tells tourists not to stand on the coral. He is a sweet old guy and has been a guide for WWF researchers. He will probably give you a coral necklace. Even though this is the most touristy beach of Miyako Island, it is still beautiful. Tandem-paragliding is recommended for a stunning aerial view. Not suitable for snorkeling. Great beach to hang out at in case of a north wind (it’s quite sheltered). There is a sea cave which is worth a visit at low tide. You need to walk along the coast for about 10 mins from Boragawa Beach (check the map for the exact point). There are some good snorkeling points too. Recommended in case of high waves from a typhoon/tropical storm since this lagoon is completely sheltered. Also great for small children who just want to play in shallow water. The deeper part of the lagoon is suitable for snorkeling with many “Nemo” fish and soft coral. The Miyako Islands have so many nameless but beautiful beaches. Use Google Satellite and discover your own beach! It’s better to enter the water using the stairs near the snorkeling point (check the map for the exact point) since it requires a lot of swimming if you enter the water from the actual beach. There is a high chance of spotting sea turtles in this area while snorkeling. 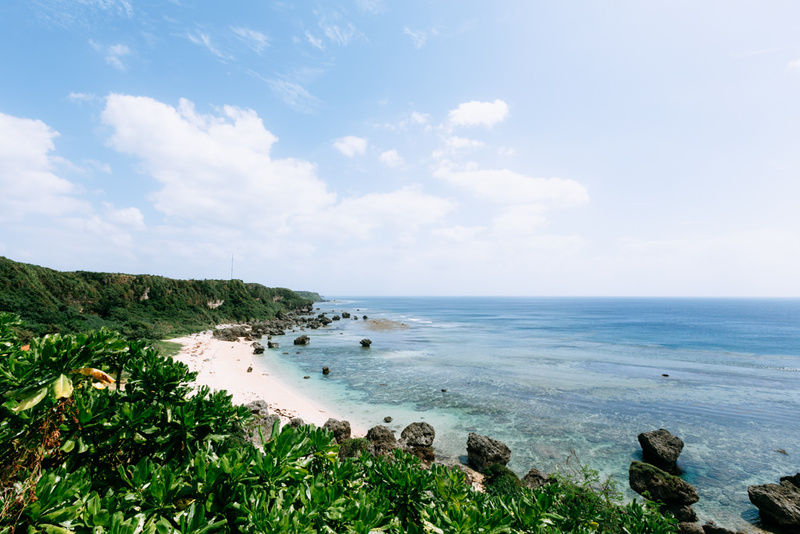 Popular beach on Ikema Island for great snorkeling. Another popular beach on Ikema Island. The west end of the beach is better for snorkeling. Beach-entry diving spot. Great for snorkeling near the reef edge. Often referred to as one of the most healthy coral reefs in the world today. It consists of 117 reefs abundant in colourful coral, sea turtles, fish and many other sea-life. Snorkeling/diving tours by boat are available from Ikema Island. The tour companies are located near the bridge on the Ikema Island side. Drive around Miyako Island and you will have an abundance of photo opportunities given the right weather conditions. The bridge linking Miyako Island with Ikema Island has views of wonderfully tropical clear water. Go to Miyako Island’s easternmost point, Higashi-Hennazaki, for a view of the iconic cape and light house. 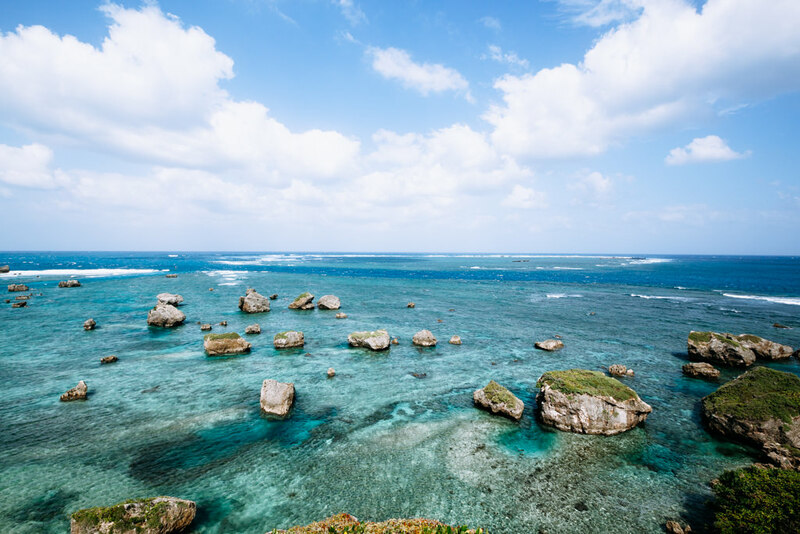 There are scenic spots with rocks which were brought by a massive tsunami in 1771, such as the coasts around Higashi-Hennazaki, Boraga Beach and Sawadanohama Beach (Irabu Island). 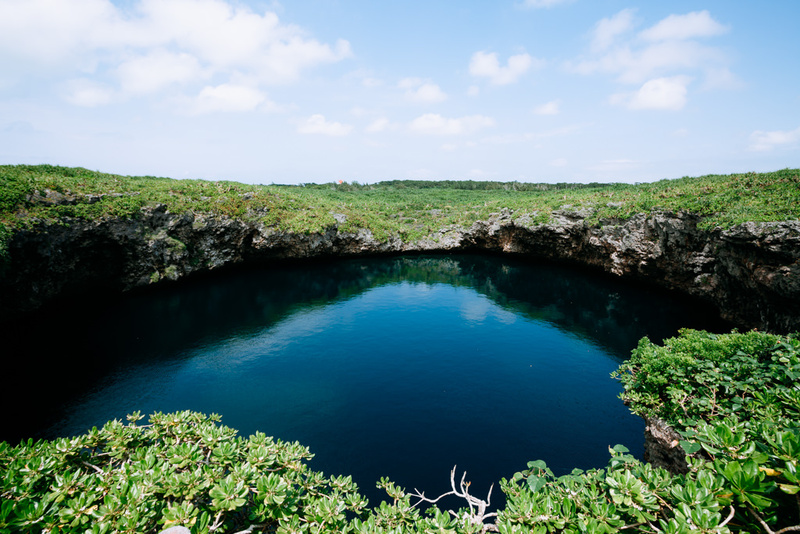 Visit the blue holes on Shimoji Island. It is a famous diving spot as it’s a water hole which is connected to the ocean. 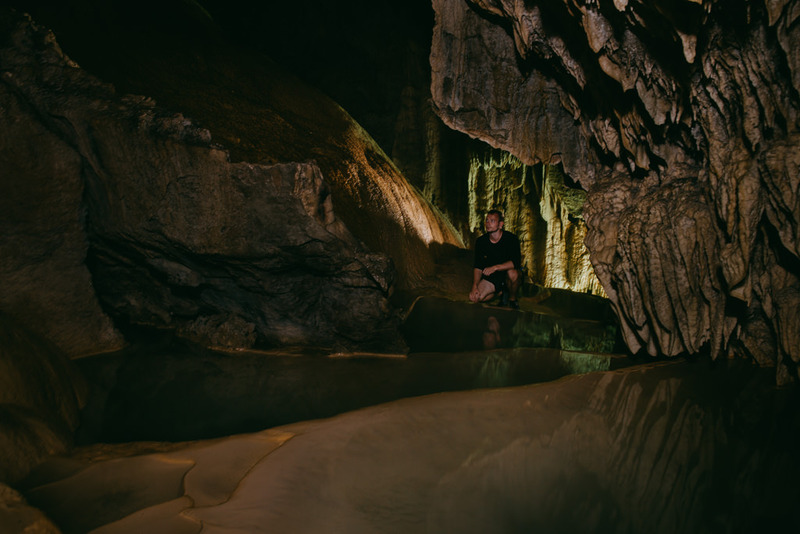 In case of bad weather, visit a cave or two. 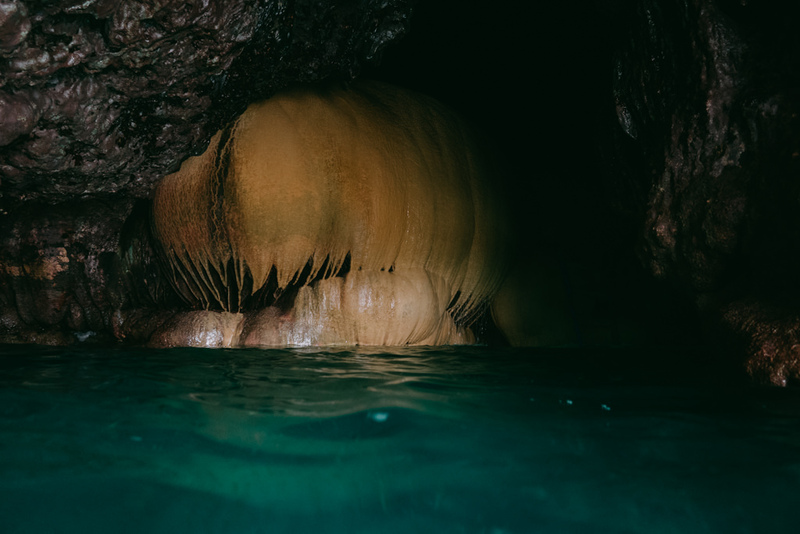 Since the Miyako Islands are formed by emerged coral reefs, there are a lot of limestone caves across the islands which are great to explore. If camping on a beach is not your thing, have a great experience staying in a traditional Okinawan house, complete with all the mod-cons of home. Especially good for a small group or family, Kataaki no Sato will make for a memorable Miyako experience. Best to have someone who can read Japanese to help with the bookings, or use our service. It goes without saying that a car is essential on Miyako Island. You can rent a small car just for a few thousand yen per day (including insurance) through the Japanese version of Rakuten Travel. Unfortunately, the price is often double on most English booking websites (only costly international rental car companies are in the English system). Best to have someone who can read Japanese to book, or use our service. You will need an International Drivers License or JAF translation. 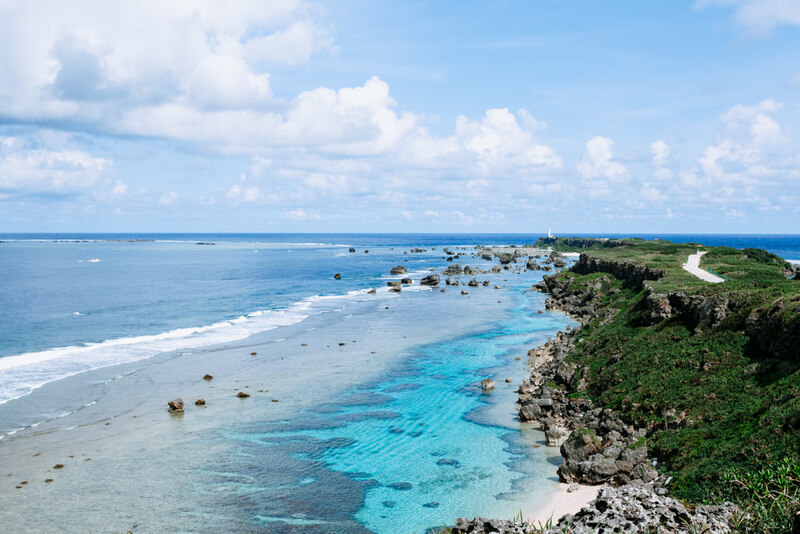 Located closer to Ishigaki Island of the Yaeyama Islands than Okinawa Main Island, lying 400km directly east of Taipei, the climate of Miyakojima is on the boundary between the Yaeyama Islands’s Tropical Rainforest climate and Okinawa Main Island’s Humid Subtropical climate. 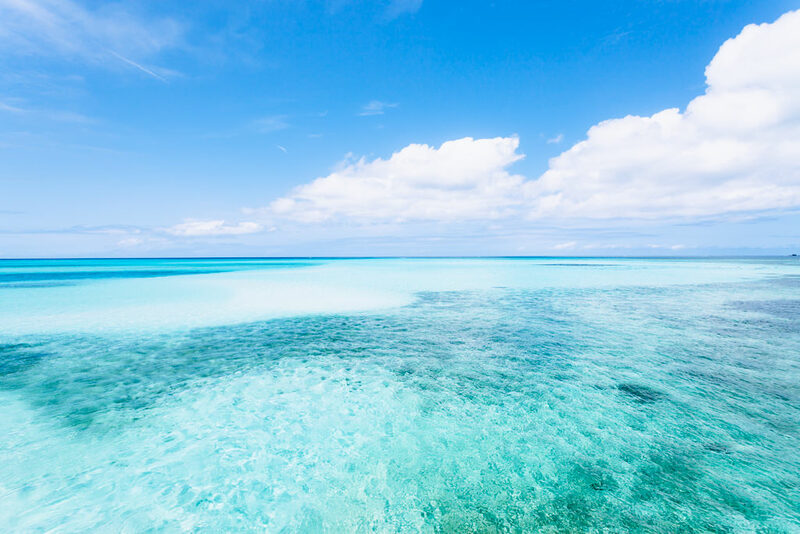 As Miyakojima is a flat island solely made of emerged coral reefs, the precipitation is less than that of the other islands of Okinawa Prefecture which have mountains and rainforests. The average yearly high temperature is 26.2°C (79.2°F), and the average yearly low temperature is 21.6°C (70.9°F). The climate is similar to Mid-Southern Taiwan, warmer than Hong Kong and Northern Taiwan due to the warm ocean current around Miyakojima. 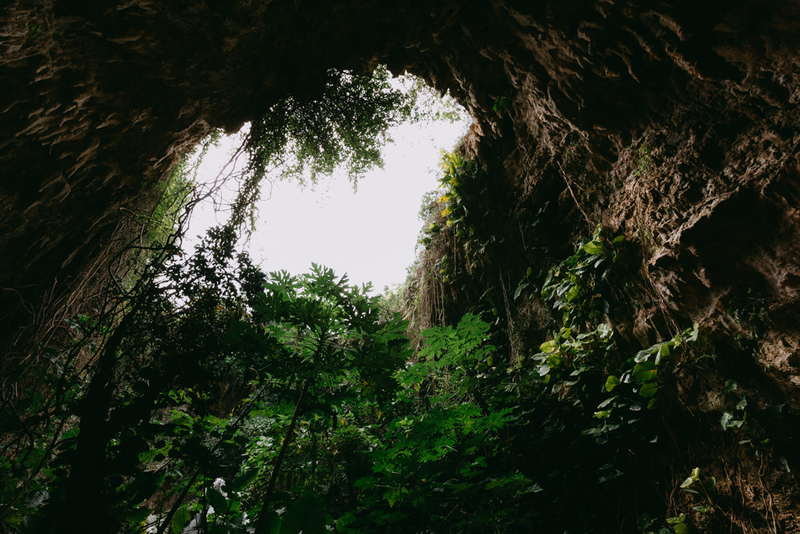 The annual average humidity exceeds 75%, which makes the feeling temperature very different from dry places with a similar mean annual temperature such as Townsville in Queensland, Australia. The sea temperature is warm all around the year, ranging between 20°C (68°F) and 31°C (88°F). The rainy season is May-June but it does not rain all day. Usually it’s just a few downpours in-between blue sky. The core season for typhoons/tropical storms is August-September but some years have very few typhoons/tropical storms while other years have many typhoons/tropical storms even as early as May or as late as November. However, at least one typhoon/tropical storm hits Miyakojima during August or September every year. Usually a typhoon/tropical storm affects the weather only for a few days and you get beautiful clear blue sky as soon as the typhoon passes away.